Happy 7th Year Anniversary to Rosemont Media, llc! Happy 7th Anniversary to Rosemont Media, llc! 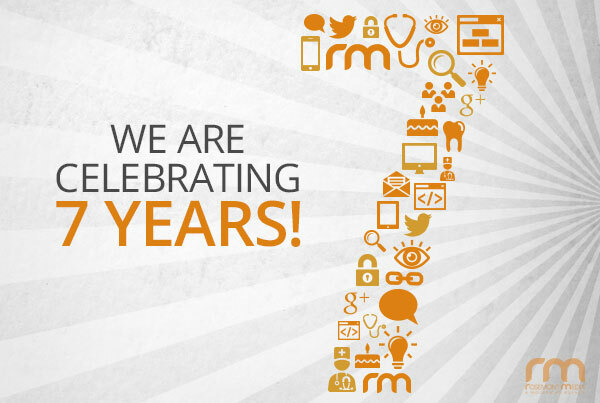 Today, we are thrilled to announce that Rosemont Media, llc is celebrating its seventh anniversary! Started in 2008 from the ashes of the worst recession in the modern era, RM’s mission was – and is still – simple: we want to provide high quality, cost effective and transparent web marketing strategies to the best surgeons and dentists in the world. We originally started the company with just three of us – that has now blossomed into a robust 37. We have not experienced explosive growth over the years but rather slow and steady growth that allows us to stay focused on our clients’ needs and keeps us nimble as well. Looking forward, the future is bright for RM as we expand into other verticals of health care and stay on the cutting edge of website design and web marketing. Having such a diverse group of talented professionals allows our company to stay with current market trends and offer the best solutions for our customers. RM would like to thank our employees and clients that have made our success a reality. We look forward to another seven great years!